The holidays at Disney World include a whole lot of different things - special events in the parks, beautiful decorations in the resorts and a couple of special tours. Here is a guide to everything that takes place at Disney World during the holiday season, including tips and videos. Once the tree is up at Magic Kingdom, there's a tree lighting ceremony that takes place every evening at dusk (around 5:15-5:30). Tip: The best place to watch the stage show is close to the stage. If you want to be able to view the whole castle better, it's best to stand back a little bit further. Show up about 30 minutes beforehand to make sure you get a good spot to watch. The only attraction at Disney World to get a holiday-themed overlay is the Jungle Cruise which transforms into the "Jingle Cruise" where you join " homesick Jungle Cruise skippers as they set out on a holly jolly journey packed with shenanigans." The biggest event held during the holidays at Disney World is the Mickey's Very Merry Christmas Party (MVMCP) which takes place on select evenings at Magic Kingdom. It features exclusive holiday entertainment, snow falling on Main St., and complimentary cookies and cocoa. Get all of the details about this party in our complete guide to Mickey's Very Merry Christmas Party. Epcot is almost always in festival mode, and during the holidays that mean Festival of the Holidays is taking place. It includes lots of food and entertainment offerings you won't find any other time of year. Get the overview of Festival of the Holidays for more info. Hollywood Studios ushers in their "Flurry of Fun" with lots of seasonal offerings including 2 nighttime shows (Jingle Bell, Jingle BAM! & Sunset Seasons Greetings), lots of decorations, special holiday-themed dining, and fun character meets. Check out the guide to Flurry of Fun - Christmas at Hollywood Studios for lots more information. Staying true to its conservation roots, nearly all of the lights you'll find here are LED, including over 40,000 mini-LED bulbs! In addition to all the lights (and of course the large beautifully decorated tree at the front of the park) guests will also find over 330 pieces of garland. New for 2018, "Up! A Great Bird Adventure" will incorporate Diwali (the holiday Festival of Lights in India) into their shows. From mid-November through the beginning of January, Disney Springs hosts a seasonal walk-through trail that includes lots of trees (27!) themed after a Disney character or story. New additions to this fun & festive area include trees themed after Toy Story, The Haunted Mansion, Star Wars, and "vintage" Mickey and Minnie Mouse. Love this Princess and the Frog tree! The Haunted Mansion one is amazing in person. From November 8 - December 24, 2018 Santa Claus is accepting Christmas wish lists and welcoming guests to his chalet (newly located by the Christmas Tree Trail). From December 25-December 31, Santa Goofy will take over after Old Saint Nick heads back to the North Pole for a little rest and relaxation. The mischievous experiment 626 is at it again with an expanded scavenger hunt featuring four new stops, including a special stop at the more-magical-than-ever Disney Springs’ Christmas Tree Trail. A great activity for families older kids, it’s your chance to work together, decipher clues, and discover all the spots where Stitch is hiding. Complete the mission and receive a limited-edition button. The Disney resorts are all decorated for the holidays and many of the Deluxe resorts are worth a stop to check it out. Grand Floridian - a 16 foot tall gingerbread house sit in the lobby and smaller versions are available to purchase. If you visit just 1 resort, this should be the one. The Contemporary Resort - a holiday village made of gingerbread and chocolate sits near the monorail platform & the largest tree on property (70 feet tall!). The Yuletide Fantasy Tour gives you a look at how the decor is done in some of the parks and resorts. The tour is $139/person, available late November through late December, takes place 9 a.m. daily except Sunday and begins at Epcot. You must be at least 16 to attend. Disney's Holiday D-Lights includes a performance of the Candlelight Processional, an opportunity to meet some of the staff that transform the Disney World Resort, and a family-style barbecue dinner. The Holiday D-Lights tour costs $279 and is offered on select nights in November and December. You must be at least 12 to attend. You can book both of these tours by calling 407-WDW-TOUR. Liked this post about holidays at Disney World? You can save it to Pinterest for later! Do you know any details on the ultimate Christmas package Disney has going on for Dec 17 2018 for 5 nights. Particularly what it means to have exclusive access to Toy Story Land and Animal Kingdom? Wondering if I will be able to get on the rides easily without fast passes during this time. Especially because if I book now, no fast passes for Slinky or Flights of passage are available. Hi guys, We have an ADR at Hollywood Vine for Nov 6. WDW site says this will still be Halloween Minnie and friends, but it looks like Jingle bell jingle bam will begin that evening. Do you think Minnie and friends will be geared up for Christmas, or would they possibly be still Halloween? Anyone else every been to WDW during this transitional week and have any advice for seeing a bit of both worlds? Thanks in advance! Any idea when the gingerbread house decorating classes are at the Grand Floridian? Or when exactly Mickey and Minnie in the Victorian Christmas costumes are available for pictures at the Grand Flo? We are heading to WDW Jan 4th-9th for the Marathon Weekend. Will Christmas decorations and the castle lights still be up? Hello! I was planning my trip for next year around the last week of October and the first week of November. I was wondering if In that week in November the parks will still be decorated for Halloween or Christmas? Thanks so much! Do you recommend doing the candlelight processional dinner package or just lining up? I see it is 2 dining credits and trying to decide if it is worth it. I was there during that time last year. There’s a good chance you’ll see both as they transition after the last Halloween party and get ready for the first Christmas party. Shannon – are the storyteller/entertainment hours listed the same every year, or are those last year’s times? Just wondering if I can plan around these times, or if I should wait until times have been officially posted… thanks for all you do! This info is from last year. Will update for this year once the info is available. Is there a link to where we can find out what Christmas events will be available Nov. 14-20, 2016? We will be visiting WDW Jan 8-14, will the parks still be decorated for Christmas? I keep seeing until early January…thank you! Our company gives us 2 weeks off, of course it’s the 2 weeks around Christmas & New Years (Dec 31 is my BDay). We were wanting to spend 8 days in WDW. Best dates for that?? Or avoid that all together? 2 adults. We’ve been at peak summer, how awful does Christmas compare? Your site is awesome and has been so helpful on past trips. When will the park hours for December 2016 be announced and best/worst parks by day? Advance dining booking opens next week for the first week of December. We have some planning to do for our next trip so would love to have that information. Yes, but Disney hasn’t published December park hours yet. Once they do, we’ll publish them with best/worst parks. We plan to go to WDW the week of December 4-10. Do you know when the parade is going to be filming and if it will be during this time? Also Will there still be fireworks on non-party nights at the magic kingdom or for those who aren’t doing the VMMCP? We really want to enjoy some of the Disney Magic but are on a budget and can’t do the extra for the party. Thanks!! The parade usually films the first weekend in December but last year they moved the date up to early November. So who knows when it will take place this year. And yes the regular Wishes fireworks show will happen on nights when there is no Christmas party. I hate to be the bearer of bad news but the week between Christmas and New Years is one of the most crowded weeks at wdw. That’s not to say you won’t have a good time, but you should know what to expect before you head there. My family was just at Disney last week (Dec 6-12,2015). We wanted to visit a couple of the resorts to see Christmas decorations. We drove so we had our car to take to the resorts. We had no problem going to see the decorations at Animal Kingdom. The guard was very nice and told us where to go and park. When we went to the Grand Floridian we were told we could only come in if we valet parked for $25 or took the monorail from ticket and transportation center. The guard said they had no self parking. Just wanted to give a heads up to others who may be hoping to see the decorations ar Grand Floridian. We are going to Disney world January 3 2016. When do they remove the Christmas Decorations? Hi! 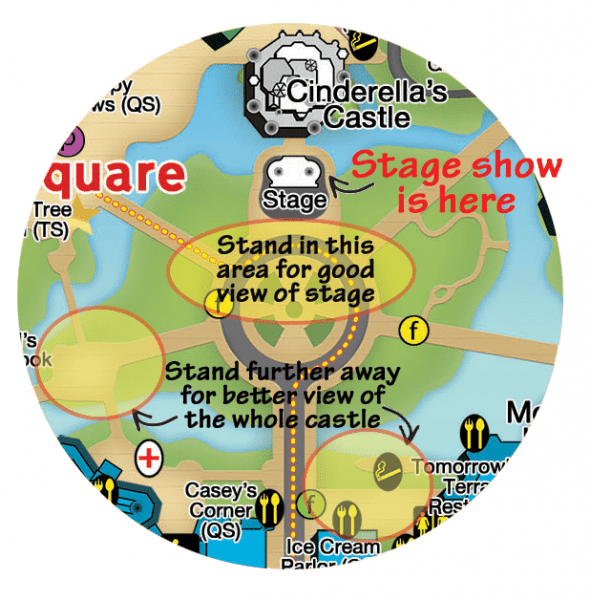 Do you have a map, or some type of direction or order to view resort decorations? Thanks! Can you tell me if there’s special tickets for NYE? Which resort would you recommend staying at during Christmas? I was thinking WL but I was wondering what you thought. I have a 6 year old that has his heart set on seeing jack skellington. I saw he attends mickeys christmas party, We are going to be there DEC 17-22. when entertainment begins nighly does jack still show up? Even if its just in the parade? We are trying not to spend the 300 dollars on mickeys christmas party. Any info would be great, thanks in advance. Will Memory Maker photographers be in Downtown Disney during Festival of the Seasons, particularly with Santa? Our family is planning a 7 day trip from 12/23 through 30th. We are excited about our adventure but have one question and possible concern. We have heard stories about the extreme crowds and were wondering if we would be better off scheduling a later trip? Any thoughts? Do you think the Christmas decorations will still be up by the weekend of January 9th? Or just January 2nd? Decorations start coming down the Monday after New Year’s, so they should be down by the 9th. 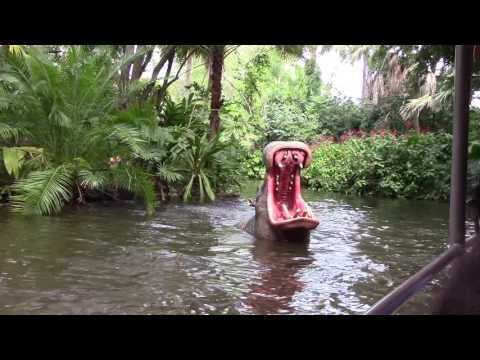 Going to Disney World Nov 11 – 18, 2015. Which would be a better day for MVMCP, Thursday (Nov 12), Friday (Nov 13), Sun (Nov 15), or Tues (Nov 17)? Is one day of the week better than another? Thank you in advance. We are going to Disney World December 17th, 2015- December 23rd 2015. Our Magic Kingdom Days are December 18th and 22nd. Do you think I should by tickets for the Very Merry Christmas party on the 18th? Or will the party activities be going on at Magic Kingdom on the 22nd, therefore not needing a ticket. Thanks! Your site is IMMENSELY helpful in planning. This is the best guide to the Christmas season. Thank you! Hi there, just panicking and wondering what the likelihood of being able to get MVMC tickets at the gate on the day – or are they non existent by then? I see that Disney are putting them on sale in April, earlier than usual, and so presume tickets might sell out sooner online, in which case do Disney hold tickets back to sell on the day? Many thanks. Last year only three of the MVMCP events sold out completely, this included the opening night and two others later in the season. All other parties had tickets available, even on the night of the event. Most likely there will be tickets available the day of, and if you are staying a few days, go to the ticket window on your day of arrival and ask about tickets for a date later in your visit. Are the Magic Kingdom shows (Once Upon a Christmas Parade, Totally Tomorrowland Christmas Show, Celebrate the Season, & Dance Parties) only for the Mickey Christmas Party? Or are they available on non party days too? Last October we were there for the Halloween Party. (Different party, same schedule) with our three year old son. We went to MK at opening and stayed until lunch. Then took a few hours break to go back to the hotel, nap, rest, shower, etc. Around 5:00 we headed back to MK, had dinner in the park before the party officially began. This plan worked great, and my son (who loves his sleep and usually has an 8pm bedtime like clockwork) LOVED the party and was still wide and awake and ready to go at midnight when it ended. I had this question too and decided to save the day on our tickets and sleep in, tour resorts and have a leisurely lunch outside of the parks. We plan to get to MK at 4pm. This way we have a whole extra day and don’t have to “pay double.” We have a 5 year old and I think she’ll need the morning to sleep in. I know I will! Just had an amazing 1st trip to WDW! Most everything was very magical for my children and we will definitely visit again. But… I have to share that Mickey’s Very Special Christmas Party was my least favorite part of our trip. In fact, I would not recommend it to anyone that minds large crowded streets, obstructed views and long lines. I read from several sources that we’d be able to go on the rides without any lines. All of the popular rides had long lines (during the show and 1st parade), sometimes even longer than what we experienced during the daytime. During the Frozen show we got there early and positioned ourselves in the section shown as good viewing. We were packed in like sardines and our view was definitely obstructed, especially for our little ones. And once the show was over, it was a nightmare to get out of that area. Just be forewarned. You may not get what you want out of this experience. Disney is packing in too many people for this expensive event! Would love to know what day of the week you went to the Party. We’re devising our plan of attack for December 2015 and trying to figure out which MVMCP day makes the ost sense. You are not the first to complain of huge crowds this past season! I went in 2013 for MVMCP and in 2014 MNSSHP, and you get more for your money with MNSSHP. The Christmas party is fun, but very crowded. We didn’t have any little ones with us, so it was a little easier to keep to a set schedule. Also, we went the last week before Christmas and didn’t realize that the parade, stage show and fireworks would be shown daily anyways. So, basically we paid for the chance to meet different characters, a little less crowded rides (we didn’t try popular ones), hot chocolate and cookies, and the snow. Still, I really enjoyed it and the snow was magical. But, I don’t think I will be attending it again unless my stay does not include the last party date. The Halloween Party entertainment, however, is completely exclusive to the party to the best of my knowledge. I wouldn’t say the Christmas party isn’t worth it, but I wish I had known the events weren’t exclusive to party goers. We only have 1 day in Orlando as we are traveling through. We want to go and see all the beautiful decorations at the resorts. Can we do this if we do not have disney passes and are not staying on the property? I read about a tour somewhere and cannot find it? Great story and wonderful overview. That being said, I think you should update the rides that will be open for the party (or at the very least add a special comment) as the Haunted Mansion will be closed the first 2 weeks in December and the Magic Carpets of Aladdin will be closed from November 10 until November 21. Great info — thanks for this! 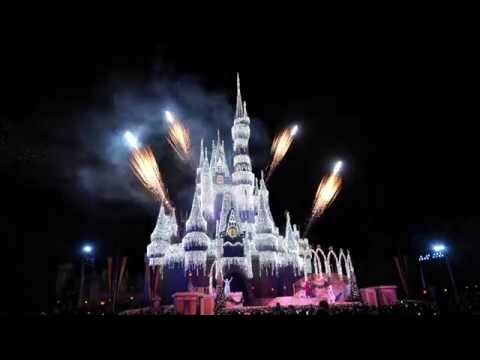 For the Frozen Holiday Wish show, for the first show of the night (6:15) do you know if the castle lights up and then turns off again (so that it can again be lit up as part of the second show) or do the lights just stay on after the first show? I am a huge Disney fan, but despite nearly 50 trips under my belt I still learn new things from different websites. I love this article on the Holidays. You give such thorough advice and have thought of everything. I love it. Thanks. We are planning our first December trip (hard to believe) and this planner is wonderful. We only have 3 days so we want to make the most of our time. I am planning a trip from Dec 3-10, 2014. As I plan my days, I am looking at the issue with the filming of the parade. Would it be concluded by the Sunday? I assume it would just be on Saturday. Also, I read somewhere that I can’t book the dates for the Candlelight Processional dinner until July. Would you recommend making an ADR for a restaurant now (in my 180 window – as it begins June6) and then just cancelling it when I book the processional dinner? My daughter was part of the parade in 2012. Sunday is a rain date. She was told she needed to be available on Sun until the afternoon. We were lucky the weather was perfect. Do you have a touring plan for the Christmas party? We are going the first week in December. When we booked our rooms and purchased park pkgs., I was told we could not buy Mickey’s Christmas Party tickets until June 3. May I buy them today? Thanks! We’re planning to do this, but I was worried it was going to sell out fast. So, if we go to MK the second week in december, but don’t go on a day when they are doing MVMCP, will they just have the regular parade those nights? or no parade? still light the castle etc? If you wait until park closing for the Osborne lights, are the Disney PhotoPass photographers still there? I believe that process usually begins the Monday following New Year’s Day. You definitely can. Phone reps often aren’t allowed to say things or just don’t know. Yes, you sure can! We got in with no problem at 4 and you shouldn’t either – unless, it is past capacity as state above. I have the same question as John. When do they take down the decorations/stop the Christmas festivities? We are going to be at WDW from January 4th thru the 11th. Will Christmas still be at Disney? Usually the decorations start coming down the Monday after the weekend following New Year’s. In 2014, that means it’ll probably be January 6. I’m so happy you posted about this…. I’m considering adding VMCP for 11/17 evening and wanted info. Searched on your site and this popped up! I never understood it before but do now! Thanks, Shannon! Our favorite trip to Disneyworld was in December–we loved everything about it. The decorations were absolutely gorgeous, we spent a bit of time just about every day resort hopping to see some of the different themes. We were there the second week of December and it wasn’t overly crowded, but be sure to have reservations for dinner in advance if you don’t want to eat hamburgers and hot dogs all week.! For some reason it was next to impossible to get in anywhere without them, even with the reduced crowds. Restaurants were probably full because of Free Dining. We were there this past Christmas. The Candlelight Processional is a must do. We really enjoyed being at DHS for the lighting of the Osborne Lights. We would grab a cup of hot cocoa and wait for the lights. Thanks for this overview. Really brings back the memories. Do you know when in January that the Christmas decorations are taken down? I would like to take a trip to the World in early January at cheaper rates but still see the holiday decorations. Shannon, I just watched your video of Mickey’s Magical Christmas Parade, it was wonderful. You had the best seats in the house. I have to remember that when we go on 11/15/13 to the party. You have the best Disney web site. Excellent information! I agree with the tip to see Osbourne lights toward closing for less crowds. We like to watch Fantasmic and then go over to see the lights after. Even though the park closes, they keep the lights on for about an hour after official closing time. Also stick around because they change the music sequences, so each one is different. Music for about 10 minutes, then still lights and then different music sequence. Also agree with going to the various resorts to see decorations. This is a good thing to do on a down/rest day. Grand Floridian is gorgeous – not only with gingerbread house but the TREE – wow! Port Orleans is nice with purples and Mardi Gras feel. If you love Christmas ornaments as much as me, be sure to shop at the Christmas store in Downtown Disney and the shop in Liberty Square at MK. At Epcot, Mouse Ears (I think that’s the name) has good selection as well. However, at Epcot – stop in all the shops in the World Showcase for country-specific and unique ornaments. I got a beautiful Murano glass Mickey ears in Italy and hand-blown glass Old World style Mickey in Germany for my Mickey tree. Also agree with going either first 2 weeks of December (for full holiday) or week leading up to Thanksgiving in November (most things but tree at MK and Candlelight Processional). Crowds are low, weather is gorgeaous and you get to see everything. We did November to catch tail end of Food and Wine Festival at Epcot and beginning of holiday festivities. We are going to Disney World 11/13/13 to 11/19/13, will the Epcot Illuminations have the special Christmas fireworks show during that period? I also booked Mickey’s Merry Christmas party for the 15th. I can’t wait. Last time I had booked it, I got sick and we could not stay for the whole party. Your website is the best. I appreciate all the tips that you give and I printed off the packing list. What a big help that will be. This will be our 6th trip, but there is always something that I forget to pack. We always stay at Port Orleans Riverside and the Christmas decorations are so beautiful there. Keep up the good work. We are still waiting to hear if the free dining plan will be offered to us during our stay. Rumors have it that they will be 11/11/13 to 11/23/13. EVERYTIME we go, we go the second week of December! It’s wonderful with comfortable temps, low crowds and MVMCP! We are always sure to attend! The first time we went back in 2000 My sister (3) and I (7) got to dance in the parade with the seven dwarfs! It was so magical! COULD YOU TELL ME WHAT KIND OF CLOTHES YOU WILL NEED. IS IT HOT, COLD, IF THE WIND BLOWS IS IT COLDER. In Florida, the weather in unpredictable hourly. Prepare for pants, capris, short sleeve shirts, and swear shirts. Layers if cold in AM because it rarely stays cold. example, today in nov. it was 80. Thanks for this very helpful article. 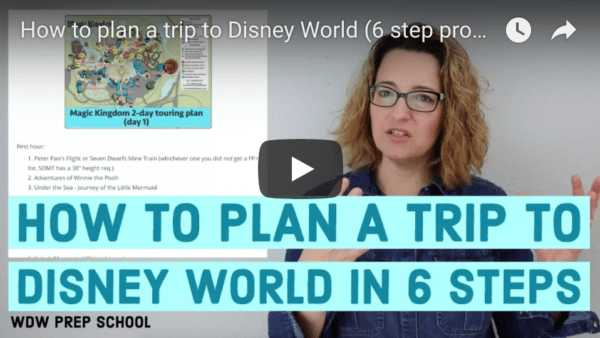 It is intimidating enough to plan a trip to WDW, but with the added features available at Christmas it was really starting to feel overwhelming. This article has come at the perfect time for me! We’ll be in WDW Dec 7 to Dec 18-can’t wait! Do all the parks have a tree lighting ceremony ? I read that Ecopt had a tree lighting ceremony nightly as well, but that characters take a part of. Do you know if that’s true or not? Or do you know if any of the characters take part in the one at MK or any other park? I am planning a trip for October of 2014 and will buying tickets to the Mickey’s not so scary Halloween. I was thinking of going again the following March but now I really want to go in December!! So many Disney trips to plan!! As always, thanks for the great info! We went to the party last year and are going again this year! What I noticed last year was that after the fireworks the crowds really went down. We saw the first parade and the castle show right away then the fireworks, since we had not eaten we went to get food! The crowds were great and we were able to ride Dumbo 2 times in a row without getting off!! Our first trip around ended and the CM said if anyone wants to go again to just stay seated. I was amazed! We ended up leaving at 11:30 to beat the crowds out of the park and it worked out awesome! That is a good tip that will usually work at any time of the year – crowds are much lower after the fireworks. All the rides stay open. Everyone without the Mick Christmas Party are forced to leave the park. It is a very good time to get on rides that normally have long wait times and to meet the Princesses. Excellent coverage of WDW holiday season. This upcoming December trip will be the third time I get to experience the extra holiday magic of Disney World. Going at this time of the year makes me feel as though I’m getting 2 trips for the price of one – the 4 parks and Christmas, too! The first year I did holidays at WDW, I had only known about the MVMCP and Osborne Spectacle of Lights. Did my research before the second trip and enjoyed so much more. Great to see that you included the resorts for their decorations – they are amazing! Good job. Thanks, April! After writing this post, I was ready to pack my bags and join you there this year. Also, we will be taking a plastic large Christmas ornament and a sharpie with us to the World Showcase. We plan on having each country write Merry Christmas in their language. I will then put the year on the ornament and we will have a special memory/souvenir of this special trip. I am so stealing this idea-love it! Any suggestions for type and where to get it? Oh Thanks! I will cut out something on my cricut to take and do that! What a great idea! So just to be clear….Magic Kingdom will close for everyone else and you must leave if you don’t have tickets to the VMMCP? So overall do you recommend the MVMCP? Am I understanding correctly that if you’re there past the 20th you reap the benefits without buying the ticket? Christmas at disney looks amazing! Definitely want to a trip during this time! Thank you so much for this post! Yes, after the 20th, all of these things are available to everybody at MK. I think the party is worth doing. It’s basically your theme park ticket for the day, allows you into MK for 8 hours with 5 of those hours being special events. The biggest concern is that the parties are often crowded so you have to plan strategically so you don’t spend all of your time in lines. They do limit sales. The event sells out on certain nights. The late parade won’t be full because many people leave after the fireworks. Due to disabilities in our family, we won’t know if we will be able to see the candlelight processional. If we don’t get seating to watch, will we be able to hear the music from the back? What disabilities do you have in your family? The music can definitely be heard from a pretty long distance. It’s an open area so the sound travels. Whatever your disability, get a Guest Assistance Card from Guest Relations and you will be seated promptly by Cast Members before the rest of the audience is let in. I am paralyzed from the waist down and use a wheelchair and this helped me enjoy the parks. Disney World is truly accommodating for those of us who are differently abled! These all look so exciting and fun! Seems like there is just so much to do. Are there certain weeks that are less busy then others but still offer the same events? Definitely! The first couple of weeks in December are really low crowds. Many think that’s the best time to go since you get the benefit of all of the holiday stuff but without the crowds. Last year was so magical we choose this time of year to return again. Be sure to ask the front desk of your hotel what day they put up the decorations( around nov. 8) We got up at 3 am to watch them put up the tree at Wilderness Lodge. By morning the whole place had transformed. Also try and fit in a quick tour of other resorts- the gingerbread house is beautiful. THANKS for a great post on the holiday season with videos I can share with friends. What a nice tip to use at the resorts. It’s amazing how fast it all gets done.